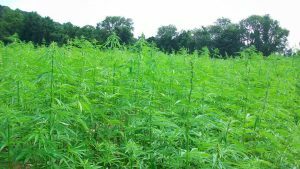 Hemp has a long and fascinating history here in Pennsylvania. In 1683, one of the first laws passed by Pennsylvania’s General Assembly was to encourage farmers to grow hemp, and our local Lancaster was the hemp capitol of early America. To say today that hemp can be used in more than 25,000 products, sounds like a gross exaggeration, but it’s not! Not only can hemp be used to replace many products made from wood and plastic, it can also be used to make existing products better, stronger and more sustainable. At our April meeting, we’ll begin with author and Hemp Historian Les Stark will taking us on a journey into the past to learn about how foundational this crop was in the building of the Commonwealth and the Nation. Then Erica Stark, Executive Director of the National Hemp Association and Pennsylvania Hemp Industry Council, will carry us into the present and future world of hemp. She’ll explain the current state of the hemp industry and the promise hemp holds for a sustainable future. Ah, to the astute reader, yes, Erica and Les are a couple. Their 2016 newsworthy engagement took place during the 2016 signing of Pennsylvania’s Hemp Bill with governor. State officials believe it may be the first time a wedding proposal came during a bill signing. The bill itself was printed on hemp paper. MAREA is so pleased to have Erica and Les Stark join us for our April meeting. The presentation is April 30 , at 7:00 at TEKPark (9999 Hamilton Boulevard, Breinigsville, PA 18031, between Kutztown and Allentown). Copies of Les Stark’s book, “Hempstone Heritage,” will be available for sale (normally $15, but event special price of $10, cash or check). Erica McBride Stark is the Executive Director of the National Hemp Association and the Pennsylvania Hemp Industry Council. Erica has years of experience in legislative advocacy, industrial hemp education, and non-profit administration. 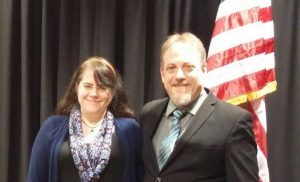 Erica was instrumental in enacting legislation in Pennsylvania which provided farmers the opportunity to grow hemp for the first time in 80 years Now that federal legalization is here she is looking forward to continuing to serve as we all work together to build the American hemp industry. Les Stark is a Pennsylvania hemp historian who has spent thousands of hours researching the historic Pennsylvania hemp industry. He has documented the existence of hundreds of hemp mills throughout the state and uncovered an epic tale of the days when nearly every farmer in the state grew hemp. Since 1997 he has been teaching this information to farmers, farm organizations, historical societies, community groups, the media, legislators and the general public. He is the author of Hempstone Heritage I and intends to publish an additional 600 pages of his research which will tell the full story of great historic Pa. hemp industry. Although he has a deep passion for history, his true passion is in helping to rebuild the hemp industry. Les served in the U.S. Marine Corps as a tank crewman on the M60A1 tank from[masked].